We work a lot with car companies in the exhibit and retail spaces. We love working with this dedicated group of people. Car dealerships vision and design are quickly changing. Again, experiential is what these spaces are aspiring to from playing host to round-table discussions, art exhibits, to renting space after-hours to community groups. Not a bad way to recoup the costs of high-end real-estate in dense and expensive urban areas. The fabric printed art with SEG frames or lightboxes – is an easy to interchange the art, easy to install and easy to ship in order to update the art for a new changing place that folks will want to come and visit. Tesla deliberately opened its stores in high traffic retail locations. This approach lets them interact with and educate potential customers in a less formal, more experiential environment. Retail setting requires a visually appealing retail environment so good graphics and design are paramount for customers to want to enter your storefront. Lighting can be used to accent the vehicles or other points of interest from the top or the bottom. We have seen lots of interest in the ceiling lightboxes. We can make these ceiling lightboxes any size, light intensity, brightness and temperature. “The consensus seems to be that car brands will need to offer other services that are inclusive, spaces that are more fluid and flexible in their delivery and provide a bespoke experience.” Our SEG fabric frames lit and non-lit allow for dealerships to easily interchange graphics for certain promotions, art or seasonal. 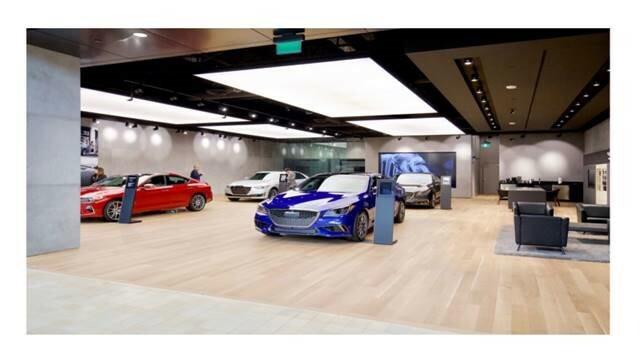 The double-sided floor-standing lightboxes are able to be moved around in the space to provide flexibility in the way the dealership is displaying the cars. Retail spaces have interactive digital environments to enhance the overall custom experience. The fabric walls or SEG frames can frame the digital screens with constant messaging or key messages. Too much digital can turn customer’s brains off because there is too much visual stimulation to comprehend. A good balance of static and digital spaces with differing textures will get a more experiential response from the customer. Generic Priligy over the counter on http://howmed.net/priligy-dapoxetine/ with cheap prices. This push toward the virtual not only provides the customer a unique experience, but it also requires a smaller footprint compared to a traditional showroom, cutting down on overhead and operating costs. We have had experience creating custom virtual reality spaces with fabric, metal and lighting for any size or shape. Please contact McRae at 905.569.1605 or email marketing@mcraeimaging.com for more information on updating your car dealership whether it is graphical art, lighting or virtual reality pods.